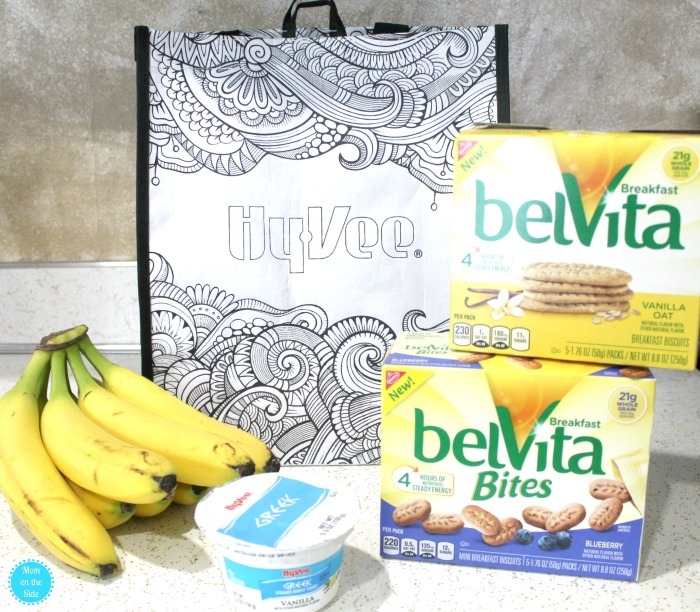 Give your morning routine a kick in the pants with this post sponsored by belVita Breakfast Biscuits and Hy-Vee. Any opinions are 100% my own. Happy Monday Mammas! The holidays are behind us, winter break has ended and we’re left with getting things back to normal. My kids have been back in school for two weeks but had two Mondays off since returning, a snow day, and one sick day. Basically, our mornings are still recovering from holiday hangover and I’m still getting back into the swing with my morning routine. Sound familiar? 6AM: Wake Child #1 and get him ready for the day. 7AM: Wake Child #2, #3, and #4 and take Child #1 to school, then come back home and get the others ready for school. 7:50AM: Take Child #2 to school and go back home until the last kids go to school. All the running around is why I take on the day like a boss with a little me time first. A little calm before the storm. A morning person I am not. Going straight from alarm to waking up a child is not how I like to kick things off. I love motherhood, about 15 minutes after the snooze button is pushed. Those 15 minutes are ALL mine and right now I’m using it to reread one of my favorite books. Knowing the second my time is up I will be getting four kids ready and off to school, I get in my breakfast too. 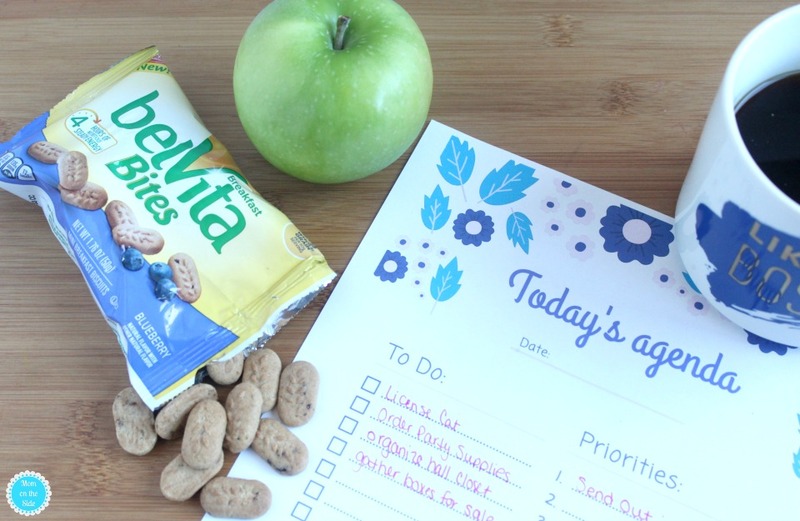 belVita Breakfast Biscuits provide easy breakfast solutions with delicious taste that, when paired with fruit or yogurt, release four hours of nutritious steady energy that fuels you all morning long and that’s just what I need Monday – Friday. Can I just say that the new belVita Crunchy Vanilla Oat Breakfast Biscuits that I picked up at Hy-Vee this week are on point in the flavor department? Another thing on point is to-do lists. I love my morning me time as much as I love checking off things I’ve done. Being a work-at-home mom it’s easy to spend an entire day organizing toys instead of what really needs done. A large planner keeps life together overall but starting my day with a to-do list keeps me focused. I use this printable daily task tracker and fill it out between drop off #2 and #3. 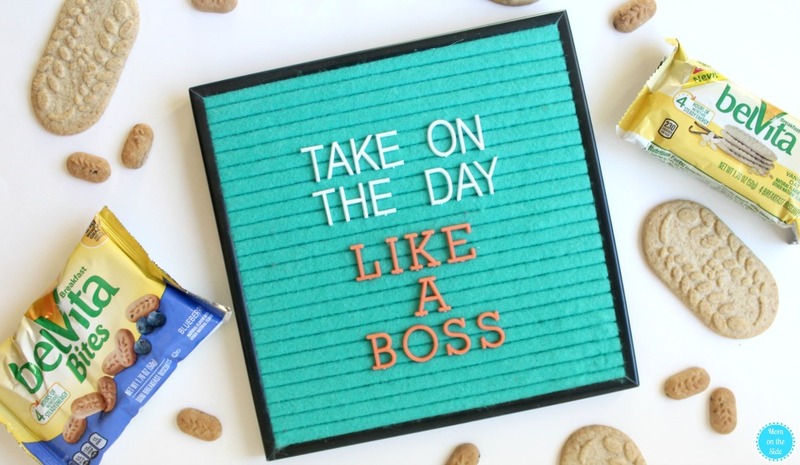 You can print one below to help you start your day like a boss. Easy Energizing Breakfasts for MOM! Because I often check breakfast off the to-do list while the kids are sleeping, I need quick and quiet. Keeping easy energizing breakfasts handy keeps me from skipping it. 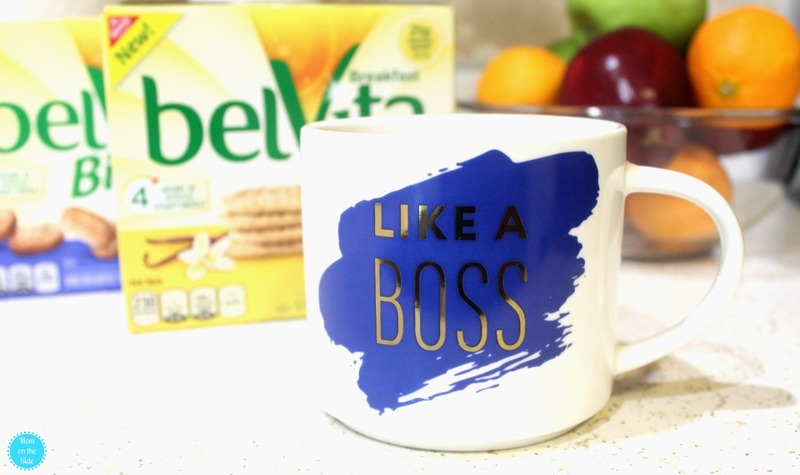 As a morning multi-tasker who is always on the go, I like pairing belVita Breakfast Biscuits with coffee, yogurt, and/or fruit for an easy, balanced breakfast. My favorite flavor right now is new belVita Bites Blueberry Breakfast Biscuits. They help start the morning with a good source of fiber, B-vitamins, and Iron with 14-20g whole grain per 50g serving. 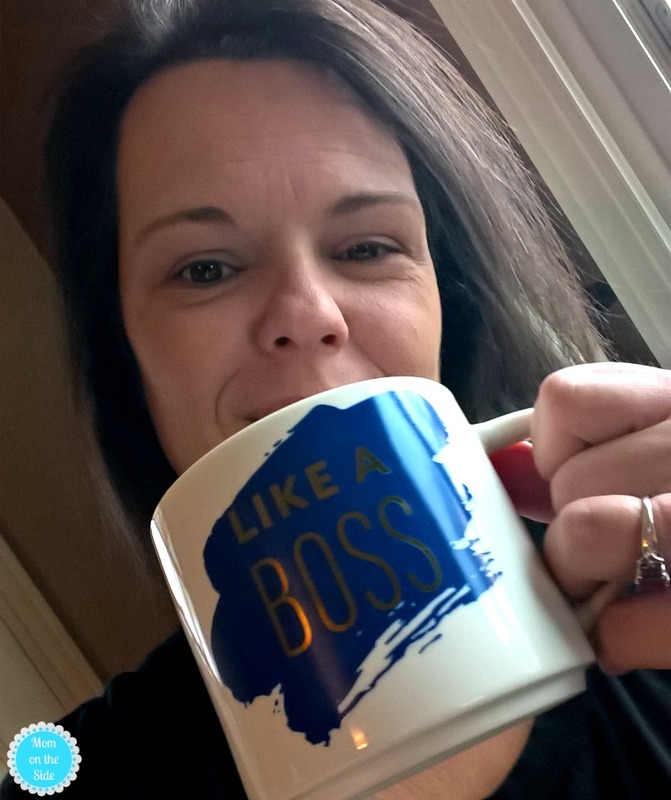 A little time for myself, a few minutes of planning, and an energizing breakfast help me take on the day like a boss. Hopefully, by next week the holiday hangover is gone and we are fully back in the swing of things. Do you have a morning routine that works for you? 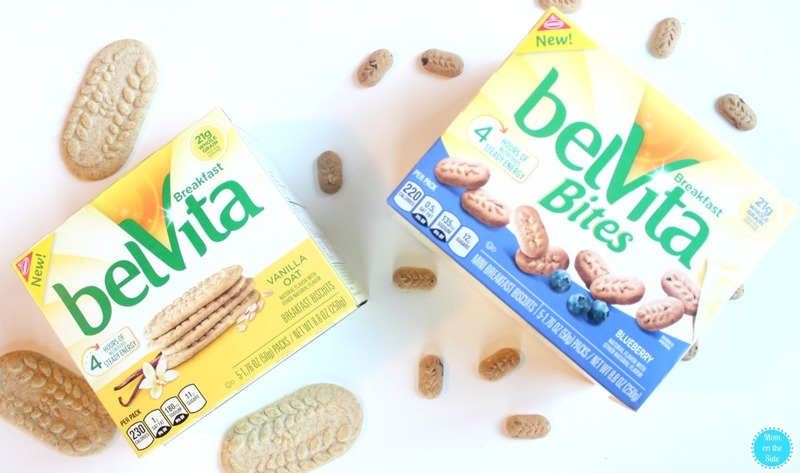 Add belVita Breakfast Biscuits into the mix! You can find them at Hy-Vee, where you’ll save $1.00 with the purchase of belVita Breakfast Biscuits (select boxes will have an instant redeemable coupon through 3/31/18. See store for details.) and Cameron’s Coffee (4.33oz or larger)! 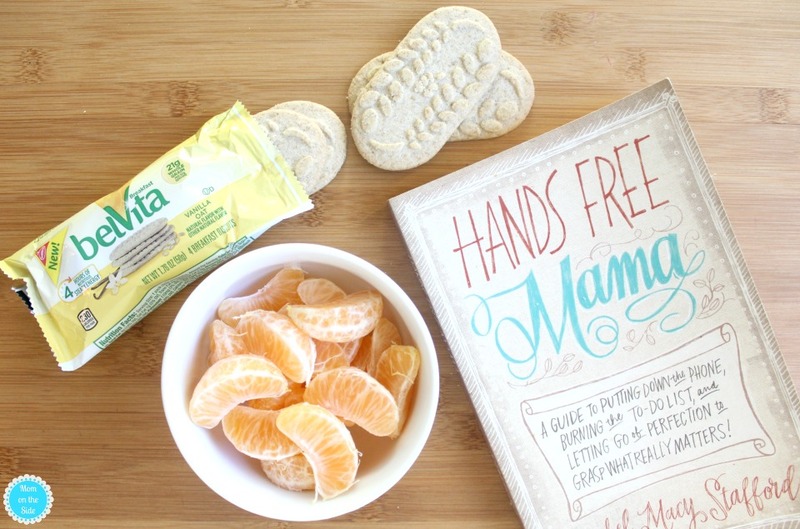 Perfect combo to help you say good morning to the awesome multi-tasking mom you are.